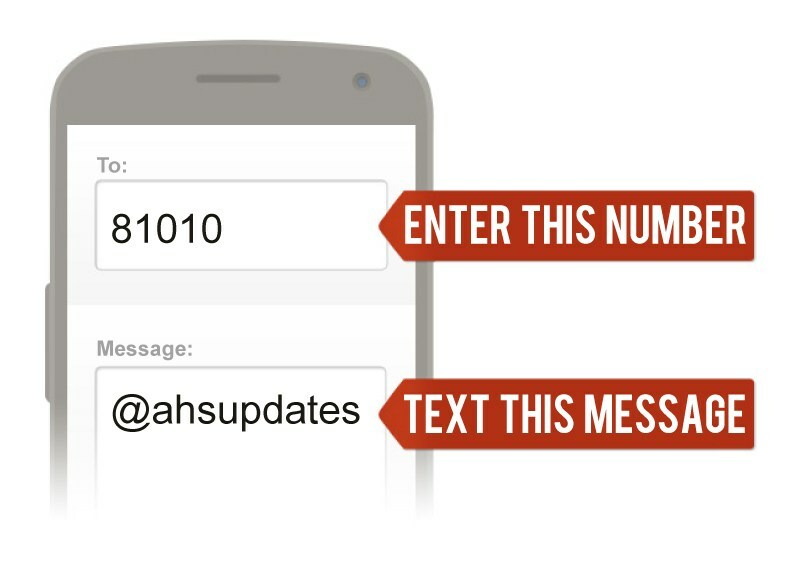 Text @ahsupdates to 81010 to receive text message announcements from Ambassador. Click here for more information on how to receive text updates! 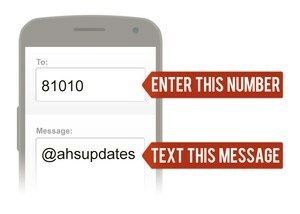 If you want the most current information and announcements from AHS, sign up through your phone to receive text message updates. It's simple to sign up! Text @ahsupdates to the phone number 81010. Text announcements will be limited to one per day. You will receive general school announcements and current information such as games being cancelled last minute and other schedule changes. Please call the school office at 310.356.0950 if you have any questions or trouble connecting your phone to receive text updates.